Over 95% of stings are from honeybees or yellow jackets. In most cases, these stings only cause a minor reaction at the sting site. A severe reaction can happen to people who have an allergy to stings. A severe reaction is a medical emergency. A tetanus shot is not needed after a sting. 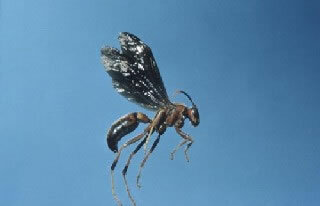 The stinger injects venom into the skin. 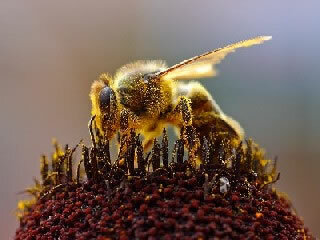 The venom causes all of the bee sting symptoms. Pain: there may be severe pain or burning at the sting site for 1-2 hours. 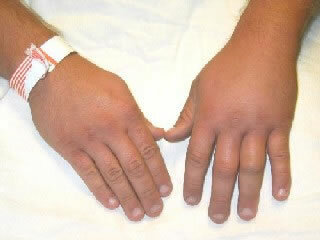 Swelling: the bee sting may swell for 24 hours after the sting. Sometimes the swelling is mild. Other times, it can be more severe. It depends on the person and what part of the body was stung. A bee sting near the eye can cause lots of swelling of the eyelids. This looks bad but it is not serious. Itching: as the pain goes away, the sting feels itchy. 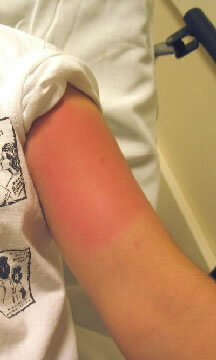 Redness: a bee sting often has a red or pink color. Skin redness may be hard to see in people with darker skin color. What to Expect: the redness can last 3 days and the swelling 7 days. Does the Stinger Need to be Removed? The stingers on honeybees come off and can get stuck in skin. This is the reason a honeybee can only sting one time. The bee will die when its stinger comes off. If there is a stinger in the skin, it should be removed. It is better to get the stinger out quickly. There are a few ways to remove the stinger. Scratching it out with a fingernail is quick and easy. 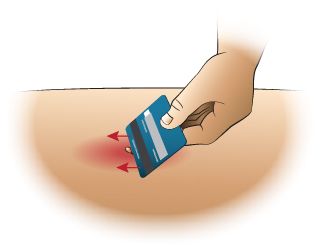 A person can also use the edge of a credit card. 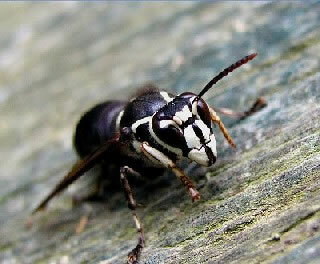 The stingers on wasps, hornets, and yellow jackets do not come off. They can sting many times. It can begin within seconds of the sting. This nearly always starts within 20 minutes. It is very rare for anaphylaxis to start more than 2 hours after a sting. People who have had severe reactions to stings should have an anaphylaxis kit. They should keep it nearby if there is any chance of a sting. A doctor has to write a prescription for these kits. Examples are EpiPen and Twinject. How Can Stings be Prevented? Here are some outdoor tips for preventing stings. Wear long-sleeved shirts, long pants, and shoes when outdoors. Avoid using perfumes and hair sprays. These attract insects. Wear dark or drab colored clothes, not bright colors. Take special care when eating or making food outdoors. Odors can attract insects like yellow jackets. In most cases, bee stings only cause a minor reaction at the sting site. You can treat minor sting reactions at home. 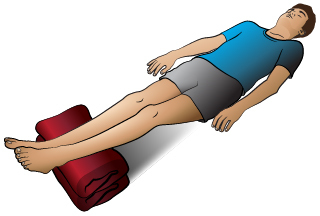 For pain or swelling, use a cold pack or ice wrapped in a wet cloth. Put it on the bee sting for 10-20 minutes. You may repeat this as needed. Put 1% hydrocortisone cream on the sting 3 times a day. Use the cream for a couple of days until it feels better. This will help decrease the itching. Use the lowest amount of a drug that makes your itching feel better. Pain and Itching: Severe pain or burning near the sting lasts 1-2 hours. After 2 hours it should become less painful. After the pain goes away, the sting often starts to feel itchy. Redness and Swelling: These may increase for 24 hours after the sting. Redness at the sting site is normal. It doesn't mean that it is infected. The redness can last 3 days and the swelling 7 days. There are things you can do to avoid getting stung. Wear long-sleeved shirts, long pants, and shoes when you are outdoors. Take special care when eating or preparing food outdoors. 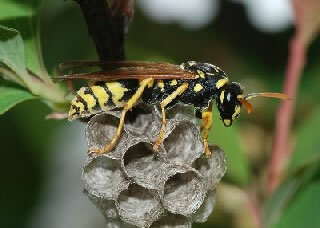 Odors can attract insects like yellow jackets. You cannot get tetanus from a bee sting or other insect sting. You do not need a tetanus shot after a sting. Routine Tetanus Booster: If it has been more than 10 years since your last tetanus shot, you need a booster shot. Make an appointment to see your doctor.